So, three days of work essentially lost, which means I’ve gotta Write Like a Sonofagun. Which I’ve been doing. I’m just back from lunch, and thought I’d catch y’all back up before I got to work again. Degrees of Separation: Adventures in the Liaden Universe® Number 27 ebook edition is available for preorder at the following online vendors: Amazon, B&N, iBooks, Kobo, Tolino. Degrees will publish on January 15. On that date (on the US timeline), you will be able to buy an ebook edition from all of the vendors listed above, and from Baen eBooks. The paper edition ought to be available on January 15, as well, but if not then, very soon after. Degrees is the prequel to “Block Party,” which you may read, for free, on Baen.com. Here’s your link. Neogenesis, the 21st novel set in the Liaden Universe® created by Sharon Lee and Steve Miller, was officially released as hardcover, ebook, and audiobook on January 2. If you read the book, please consider putting a reader review up on Amazon, BN, or another review venue. No, I do not have a publication date for Fifth of Five, but a good guess would be: between six and 14 months after Steve and I turn it in to Madame the Publisher, which! We haven’t done yet. A couple months ago, I had to stop drinking coffee. This is of course a tragedy, but with the help of kind friends, I have been able to locate several teas which will deliver the miracle of caffeine into my system. My morning drug of choice is Irish Breakfast Tea. In the afternoon, I sometimes have a cup of vanilla chai, which is pleasant, but I also like green tea in the afternoon. For those who follow the Cat Farm’s Snow Removal Protocols: We had a “snow hurricane” on Thursday, which deposited about 17 inches of snow that I could not shovel (see back spasms), and which Steve could not shovel (see cardiomyopathy), and which the plowguy could not shovel (see three dozen customers needing to be plowed out and the limited number of hours in the day). And so it is that, in addition to a lawnguy, and a plowguy, we now have a shovelguy. Which is actually something of a relief. It’s also good to know that the I-Know-A-Guy Network is still operational, at least in our part of Central Maine. And that? Catches us up for the day. Back to work I go. *Yes, I know I have not provided links for Apple and Tolino; that’s because I have heard news of availability from third parties, but have not been able to locate the books on those two services myself. If someone will supply me with links, I’ll be happy to amend the post. Thanks to Susan for providing the iBooks link! Thanks, also, to Estara Swanberg for the Tolino link! And to Marion, for the explanatory Tolino links. Who knew? 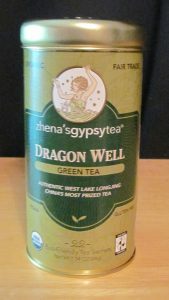 Let us know how you like the Dragon Well tea. I just finished Neogenesis. Despite everything I did to make it last longer (I read three other books between chapter breaks), I finished it. I’m devastated that I’ll have to wait between six and eighteen months for more. Thank you for giving me so much pleasure. Hope everything turns out well and a Healthy New Year to you both. Greetings from snow-free Hamburg. Love your books. they call it an “ecosystem”.